Accurate Size–Since young bodies develop rapidly, classroom seating should support healthy posture from an early age. A perfect position would be when a student sits with their feet firmly placed on the ground and backs against the chairs. The desk and chair heights should be designed according to their ages. Adjustable –A buffet of desks and chairs for students to randomly choose from is not enough. It’s important to ensure that chairs and desks are made in order to fit the size of individual student. A chair should fit the size of the person who uses it and a desk should be according to his/her height. In such a case, a manufacturer who offers adjustable versions of his most popular chairs will help you with products that are suitable to small, big and tall kids. Flexible Seating–The most notable advancement in classroom seating is flexible seating. Designers and engineers have understood that various degrees of movement of the chair can actually help promote learning. Various mechanisms in the chair such as mesh back, multi position locking system and revolving feature enable comfortable seating for students. Functionality –Just like ergonomics is an essential part of classroom seating, functionality also plays a major role. By functionality we mean that classroom design complements the curriculum. For instance, if the session requires students to work in groups of 3 to 5 people then the design should allow proper collaboration space for students. In the current times, classrooms have become active learning environments. The “sit still and listen” concept of teaching has faded. Therefore, portable chairs that students can quickly move, arrange and store are required. 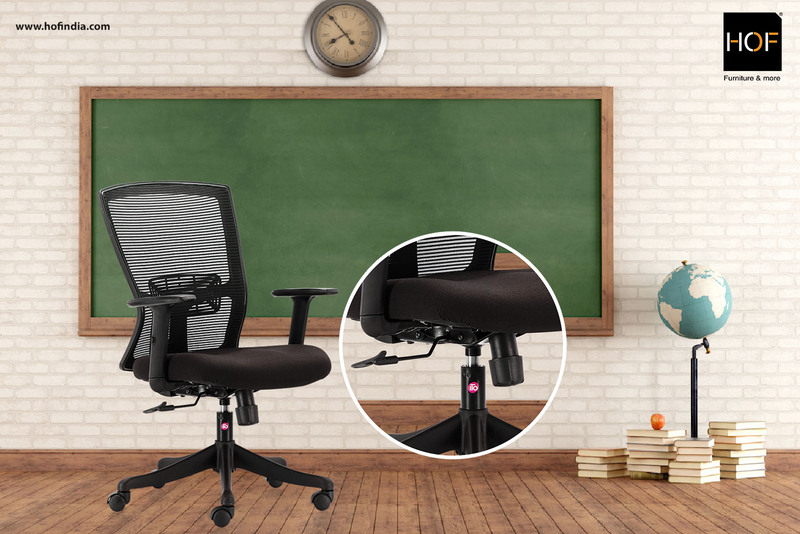 Looking for ergonomic student chairs? Visit shop.hofindia.com now!